The Treatment Divide: When's the Best Time to Start HIV Meds? The Treatment Divide: When’s the Best Time to Start HIV Meds? A debate is raging between activists over whether treating HIV when CD4 cells are high is scientifically sound. “Hit early and hit hard.” That was the HIV treatment philosophy at the dawning of the antiretroviral (ARV) era in the latter part of the 1990s. Such boldness eventually shrank, however, in the face of the harsh realities of the few medications then available. Toxicities could be devastating, pill burdens were high, and regimens were difficult to follow, raising the likelihood of adherence troubles, treatment failure and drug resistance. And so HIV-positive people and their clinicians were forced to weigh the disease’s typically inexorable march forward against the desire to avoid the serious drawbacks of lifesaving drugs. In 1998, U.S. Department of Health and Human Services (HHS) treatment guidelines stated that anyone with a CD4 count below 500 should be offered treatment. But by 2001 the agency’s treatment panel did an about-face, recommending ARVs only to those with fewer than 200 CD4 cells. In the years since, treatments have become progressively simpler and less toxic as research has increasingly supported the benefits of earlier treatment. Study after study has found numerous harms associated with allowing the CD4 cells to drop lower than 350. Research suggests that people with HIV are “haunted” by their lowest-ever CD4 count: A lower number can set them on a course for greater health problems over time. Furthermore, a freely replicating virus appears to raise the risk of a host of diseases not directly associated with AIDS, including cardiovascular, kidney and liver diseases, and non-AIDS defining cancers. Given such findings and the vastly improved crop of ARVs, federal guidelines on when to start treatment have steadily marched back toward those of 1998—but not entirely. Because when it comes to answering the question of starting treatment when CD4s are above 350, the available scientific data on the matter is not conclusive. This is because the evidence comes from observational trials instead of from the gold standard of scientific research, a randomized controlled trial (RCT). This uncertainty didn’t stop the Centers for Disease Control and Prevention (CDC) from launching a new media campaign, “Treatment Works,” that heartily encourages people with HIV to get in care and start treatment, and also to remain in care and adhere to ARV regimens. This is no doubt a worthy goal, especially because of concerns over what’s known as the care continuum or the treatment cascade. Of all Americans diagnosed with HIV, only an estimated 77 percent have been linked to care, 51 percent have stayed in care, 46 percent are on treatment, and a mere 35 percent have an undetectable viral load. However, some activists are concerned that the CDC campaign doesn’t qualify its message about the importance of treatment with an acknowledgement that researchers are still searching for incontrovertible evidence of early treatment’s net benefits. 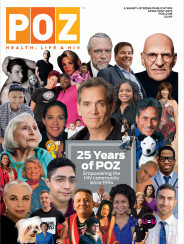 Sean Strub, an ACT-UP veteran who is the founder and former publisher of POZ, forwarded the CDC’s September 17 press release about the Treatment Works campaign to an email listserv he helps run whose members include a who’s who of treatment activists. “Advising people with high CD4 counts to go on treatment for their medical benefit, when the question as to whether they will benefit is still open, is coercion,” Strub wrote. A spirited and lengthy debate ensued among his fellow activists. They eventually churned out of 16,000 words of commentary. Further digital ink spilled across the Facebook page of another ACT-UP alumnus, Gregg Gonsalves, who started his own thread about the early-versus-delayed treatment question—one that inspired scores of wordy, wonkish replies. Key to the overlapping debates was whether there is enough cumulative, if imperfect, evidence to support the notion that there is a net benefit of early versus delayed treatment. A crucial missing piece of the puzzle is data from the START trial, an RCT that is seeking to answer whether very early treatment is ideal. The global study includes 4,400 treatment-naive HIV-positive participants, all of whom entered the trial with a CD4 count above 500. They have been randomized to either begin treatment immediately or wait until their CD4s drop below 350. Initial results, including at least four and a half years of follow-up on all participants, aren’t expected until 2016. In the meantime, Strub is especially concerned that physicians won’t communicate the subtleties or fundamentals of the scientific evidence supporting (or failing to support) the benefits versus risks of starting ARVs early in the course of HIV disease. On the opposite end of the debate is the likes of James Krellenstein, a 23-year-old activist wunderkind with a catalogue knowledge of HIV-related data and research studies who enthusiastically supports a full-fledged return to hit-early-hit-hard treatment rubric. The federal government’s current stance on when to start ARVs dates to March 2012, when HHS took the bold step of advising treatment for everyone with HIV. Importantly, the treatment guidelines qualify this recommendation with several caveats that account for the lack of gold-standard supporting evidence. Starting ARVs with CD4s below 350, the guidelines state, amounts a strong recommendation supported by RCT data. HHS says it can also make a strong recommendation to start treatment between 350 and 500 CD4s, but that this advice is backed up only by “well-designed nonrandomized trials or observational cohort studies with long-term clinical outcomes.” These studies suggest that starting ARVs in the 350 to 500 range reduces the progression of HIV disease, although they haven’t shown whether it also reduces risk of death. When it comes to the 500 CD4 divide, HHS states that the agency can only make a moderate recommendation, one supported merely by “expert opinion,” to begin treatment before crossing that point. The guidelines point out that observational studies examining the benefits of starting above 500 CD4s have produced mixed results—although none have associated the practice with a net harm to the participants. The NA-ACCORD study found that delaying until CD4s fell below 500 raised the risk of death by 94 percent when compared with starting above 500 CD4s. On the other hand, an analysis of the ART-CC cohort found that there was no significant difference in the risk of death between starting treatment at 451 to 550 CD4s and starting at 351 to 450 CD4s. And in the CASCADE Collaboration, those who began ARVs with between 500 and 799 CD4s did not benefit from a significant reduction in the progression to AIDS or death. Adding a new dimension the to debate are the 2011 results of the HPTN 052 trial, which found that starting ARVs (regardless of CD4 count) reduces the risk of transmitting HIV among heterosexual mixed-HIV status partners by 96 percent. Even more dramatically, the PARTNER study’s interim results, released in March 2014, suggest that maintaining an undetectable viral load through ARV treatment may virtually eliminate the chance of transmitting the virus to others. Consequently, the February 2013 revision of the HHS treatment guidelines added the potential for reducing transmission risk as one of the factors to weigh when deciding on a start point for treatment. 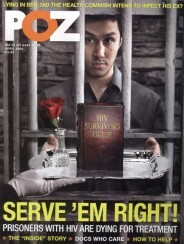 In the email listserv, treatment activist Mark Peterson, for one, addressed a common concern that people with HIV may be at a particular disadvantage when it comes to advocating for their best interests in the exam room. “The earlier a newly diagnosed patient is presented with the mind-numbing factoids of treatment—while attempting to deal with the diagnosis on a psychosocial level—the more likely they are to defer to white coat pressure,” Peterson wrote. Do we know enough already? The forthcoming results of the START trial will hardly settle the debate. For one, a typical rule of thumb in science is not to rely on a single study, even if it is an RCT. (The movement to support voluntary medical male circumcision as prevention for female-to-male HIV transmission, for example, was supported by three major RCTs.) Also, START won’t answer questions about the cumulative effect of treatment over the course of a potentially long lifetime. David Barr, a longtime treatment advocate and educator, pointed out that, even if CD4s are high, many newly diagnosed individuals who come in for their first HIV appointment are later lost to follow-up if their doctor tells them they’re better off waiting to start ARVs. “They leave care and often don’t come back until they have few [CD4] cells and are [symptomatic],” he wrote in Gregg Gonsalves’s Facebook feed. Gonsalves himself sees the answer to this evolving debate in the power of the informed consumer.